I picked these this morning. These are the largest peppers I have ever grown. The long green one is 8 inches. 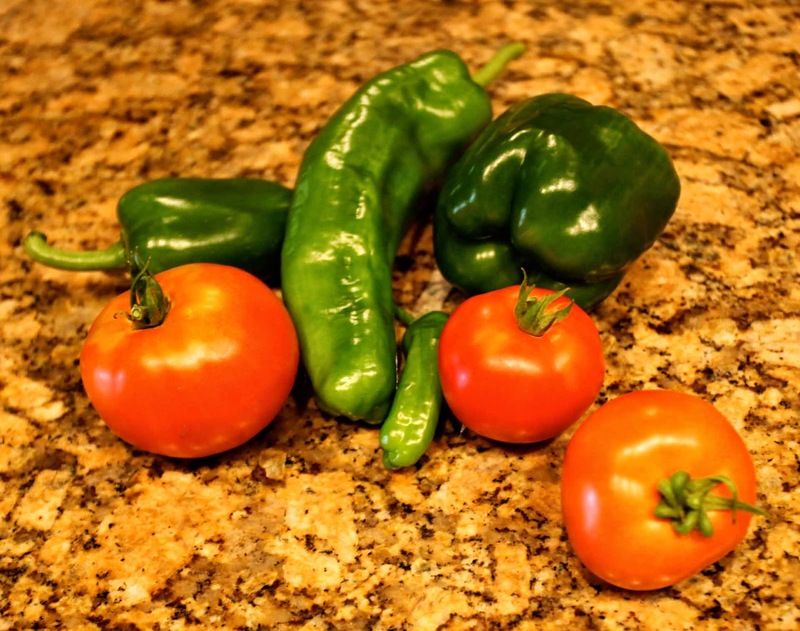 It sure is nice to have fresh produce again. This is an excellent fast dish to prepare. 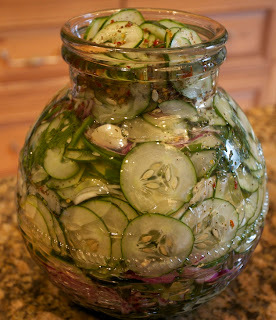 Mix 1/2 C. of mayonnaise with 3 T. of dijon mustard, 1 T. fresh chopped tarragon, S&P, and the juice and zest of 1 lemon. I forgot to take photos of a few steps. Pound out as many chicken breasts as you need. 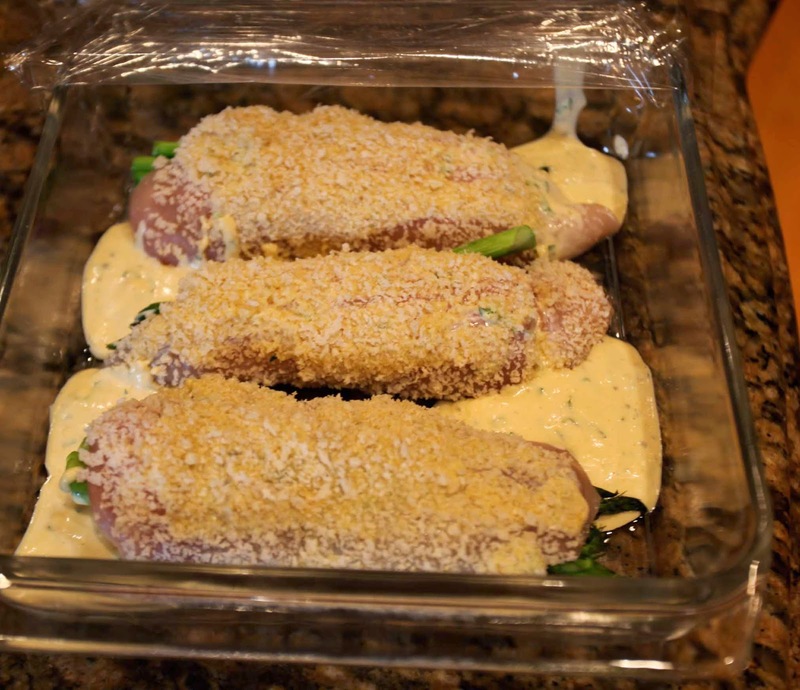 Place a piece of provolone cheese and several sprigs of asparagus across the breast. My springs were thin so I used 6 in each breast. Roll the breasts and then smear some of the mayo/dijon mix over them and roll them in panko, pressing them to make the panko stick. 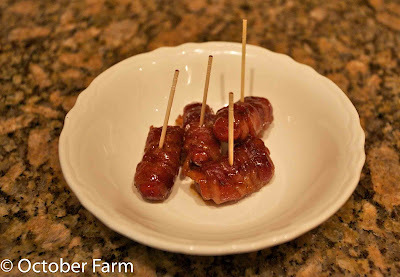 Place them in a pan and spread some of the sauce around them. Bake them at 475 degrees for about 25 minutes. 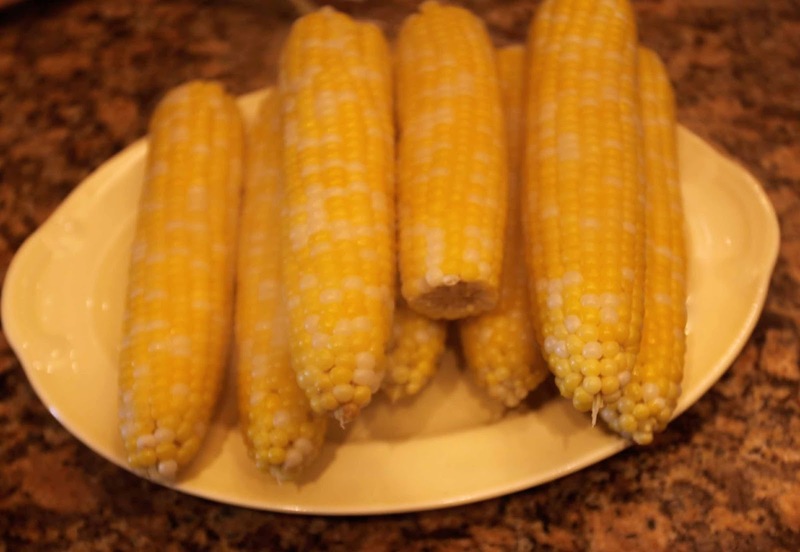 I bought the first local corn at a farm stand and cooked it in salted water with a stick of butter. It is perfect to eat and you don't need to add anything to it. You can save the cooking water and add the empty cobs to it to make corn stock for soup. My first tomatoes sliced and drizzled with balsamic glaze. They are wonderfully sweet. A very tasty fast dinner. Yummy! I don't think we will harvest asparagus until next year. That does look yummy and I'm sure that sandwich with the tomatos on is delicious! I love the presentation...I feel as if I am looking at a gourmet cook book...so yummy!!! Mmm, what a delicious dinner! 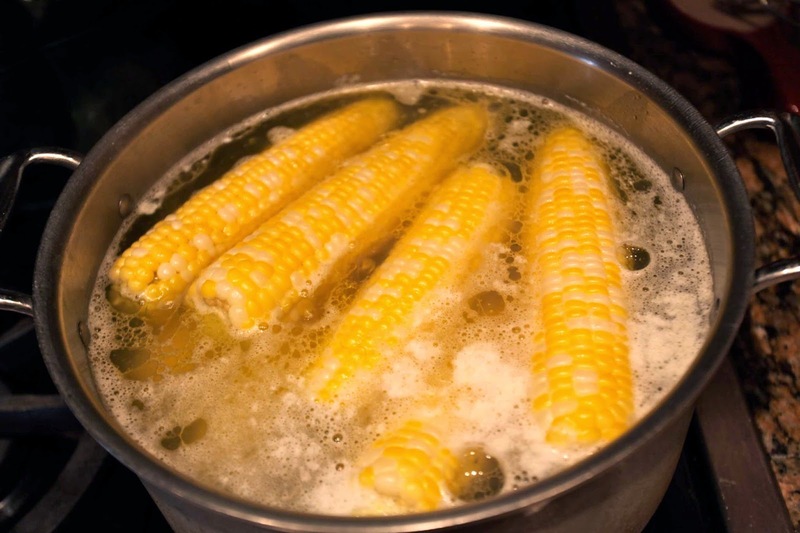 I've never heard of boiling corn in buttered water! We always just butter the cob afterwards. 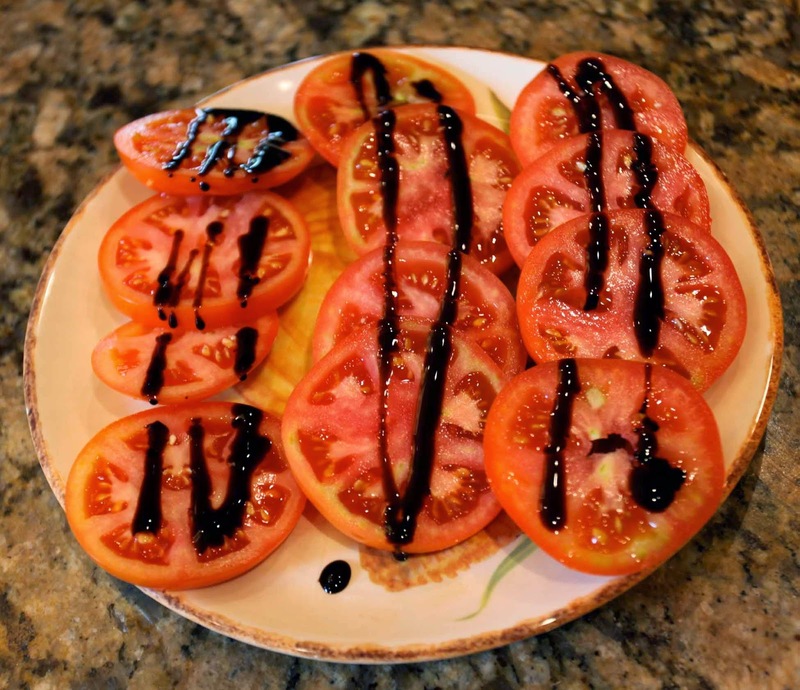 I love balsamic glaze too -- so lovely on tomatoes or on cheese. Have you ever tried microwaving your corn in their husks? We do this once and a while, 8 minutes on the microwave and the corn it cooked. Just pull off the husks and there you have it. From now on I am going to cook my corn like this. Not having to butter each one sounds wonderful. I cook my corn a very short time as I was told long ago I was cooking it to death, however the woman across the street boils here for..at least 45 minutes..or more. Which is the best? Thanks Joyce! I must try the chicken..it's another one that does not call for anything I don't have. The tomatoes look delicious too. Ohhhh, corn! For me one of the signs of harvest. 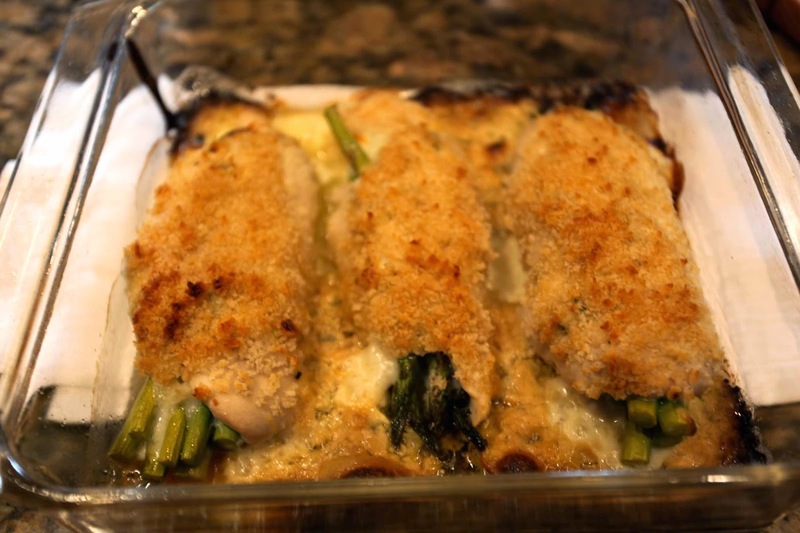 That asparagus and chicken look so-oooo yummy. What a great summer dinner!